West Roxbury Framing offers a full array of repair and restoration services. We can provide initial treatment for photographs and memorabilia suffering from a wide range of damage that requires repair. 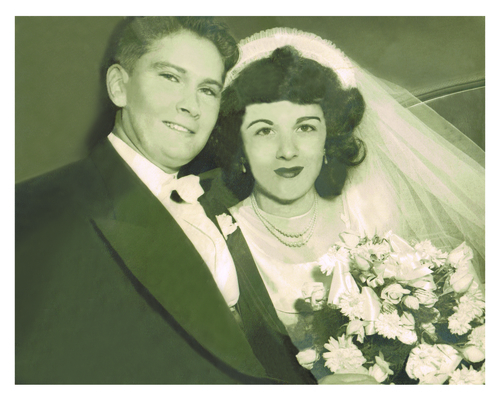 West Roxbury Framing specializes in photo repair services, digital photo repair and antique photo restoration. 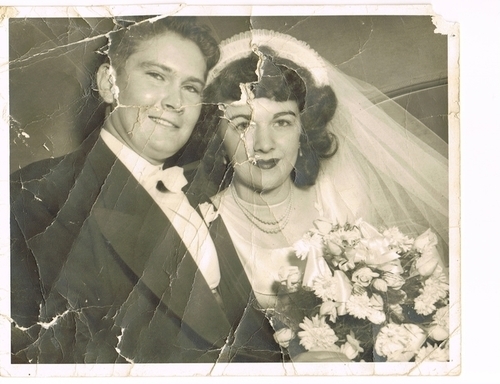 From breathing life into a cherished family heirloom or restoring water or fire-damaged photos, it would be a privilege to restore and preserve your photographs. The image below left is the "before" and the image on the right is the "after". West Roxbury framing offers wide range of services in Boston. We have been efficiently serving the good people of Boston and its surroundings, for over 30 years now. 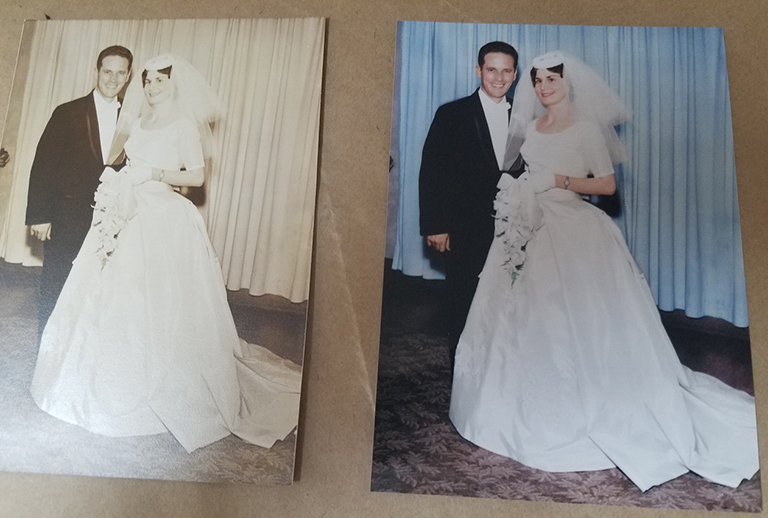 We carry out the repair and restoration of damaged or degraded pictures and we make it look as though, you took it yesterday, so all those lovely memories of years past can be successfully repaired and restored again. West Roxbury framing also offers services in picture framing, framed art and custom framing. Even if the pictures or art works do not match the required frame dimensions, they will be stretched to fit in just perfectly. Our custom designed frames are state-of- the-art and are constructed to be a perfect fit for your pictures. Above all, all our services are reasonably priced to fit your budget. When it comes to custom framing in Boston, West Roxbury framing is matchless. With our team of experts, designing the perfect frame for you will never be a problem. Our catalogue is full of testimonials from past clients who considered our works second to none in terms of quality and precision. © 2018 West Roxbury Framing. All Rights Reserved.